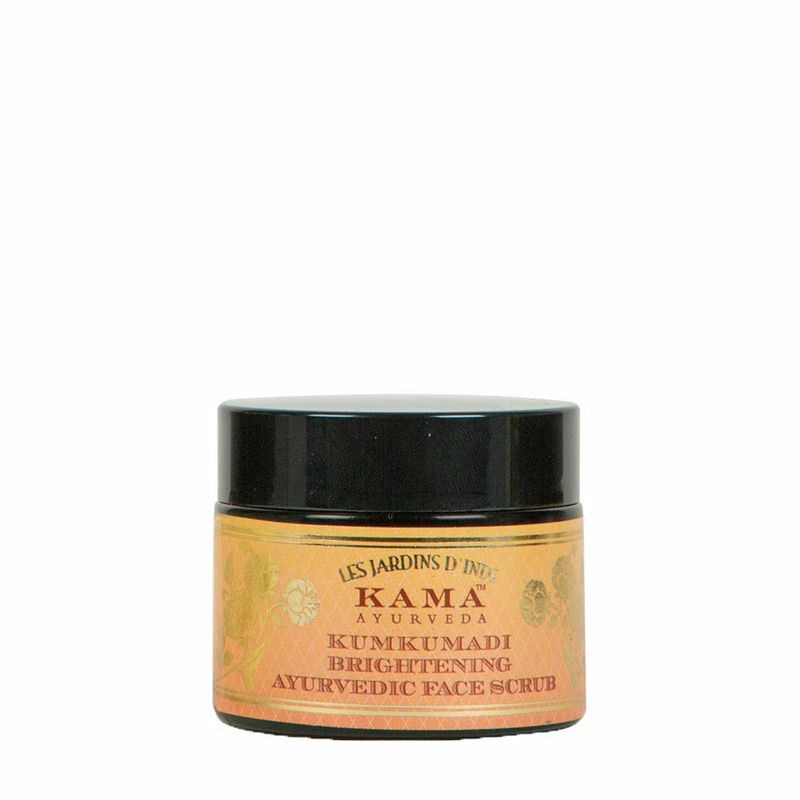 Kumkumadi face scrub is specially formulated with pure Ayurvedic kumkumadi oil, A miraculous beauty fluid which is made with 12 precious and rare ingredients to help smooth fine lines, illuminate skin color and promote new cell growth. Our Ayurveda based formula is blended with finest Saffron from Kashmir to brighten your skin, reduce dark circles and pigmentation. Finely ground Sweet Almond rich in Vitamin E & D nourishes and nurtures while exfoliating pollutants and impurities for a glowing complexion.